As we approach Week 10 of Term 1 we are looking forward to celebrating the achievements of our students. This Monday afternoon we will present our End of Term Awards to students who have displayed Academic Excellence, Discipleship and Consistent Effort over the course of the term. On Wednesday we will invite all students who have received 20 or more brag tag recognition stickers this term to a celebration session. It is very important to recognise excellent behaviour, attitude and learning. It reminds us all to be our very best for others, for the world and most importantly for ourselves. We are all made in the image and likeness of God and when we strive to understand and live this to the full we can have such a positive impact on the world around us. It is Autism Awareness Month. Some would like to re-name this as Autism Acceptance Month. It depends on your experience of people's responses to autism. Regardless of the name, and in light for my previous paragraph, it is a month to remind us that when we are 'made in the image and likeness of God' we are not all made identical to each other. In fact, humanity is extraordinarily diverse...and that is good. Autism is just one of many ways that we are diverse. It is recognised as a disorder, though I think that can be a very negative label. Autism spectrum disorder, commonly known as ASD, affects how people communicate and interact with others. It affects how they make sense of the world. Autism is a developmental condition that is typically life-long. People with ASD experience challenges with communication, social interaction and restricted/repetitive interests and behaviours. These are often accompanied by sensory issues, such an oversensitivity or undersensitivity to sounds, smells or touch. All of these difficulties may lead to behavioural challenges in some individuals. The term “spectrum” is used to emphasise that autism presents differently in every single person. People with autism have a wide range of challenges as well as abilities. In fact, autism is reported to occur in every racial, ethnic and socioeconomic group across the world. Currently 1 in 100 Australians have a diagnosis of ASD and each of them experience it differently. In fact those who know autism well would say "If you've met one person with autism, you've met one person with autism." Take the time to understand a little more about autism this month. We do have a Uniform Policy at St John the Apostle and we provide an opportunity for families to access new and second hand uniform items to ensure that wearing the uniform is easy. As Term 2 is coming I would remind everyone to look at their child's winter uniform and see whether some items need to be replaced since last year. 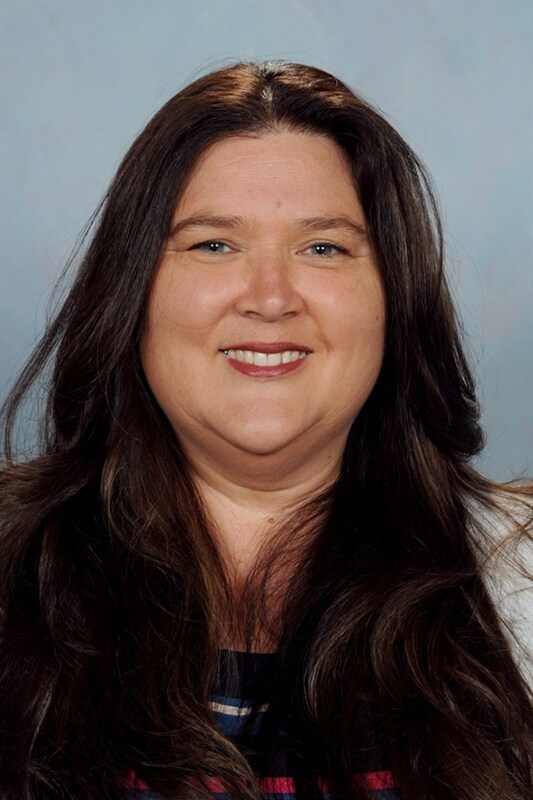 We are very fortunate to have Hannah from CatholicCare with us each Wednesday and Friday to offer counselling services for students and families. At the moment there is no waiting list so if you feel that your child may benefit from such support please contact the Front Office to obtain a referral form. Next term the URFab team will begin working with our school to prepare for running a program with Year 2 and 3 students about understanding and responding effectively to feelings and related behaviours. Please see the section further on in the Newsletter for more information. I hope you are enjoying the cooler weather. I am curious about how kids learn, about my family history, about how conceptual inquiry should look in the classroom, about places I want to visit in the world. There are so many things I want to learn about. In the past I have spent a lot of time worrying about the future. Trying desperately to control what is going to happen. Believing, to a point, that the actual process of worrying and lamenting would help. I would love to say that I never worry anymore, but of course that is not the reality. I know that in the future there will be challenges, to be honest there are few right now. What is different for me is that, after my initial reaction, I can move to a mindset of curiosity. I trust in the plan that God has set out for me. I guess my curiosity and faith have grown in equal measure. Next gathering is this Sunday, 7 April. This group is a way for young people to learn and share about their faith alongside peers on the same journey. There are several opportunities currently on offer in the local Archdiocese for women to connect & reflect. Happy birthday to Faith L, Mikayla D, Emma D, Dhvanya B, Madeleine H, Oluwatoni O, Uasi T and Ethan T who all celebrated a birthday over the last week. Can I ensure my account balance is zero by the end of the term? 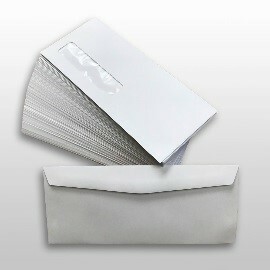 If paying by direct debit will my regular fortnightly/ monthly payment cover my fees by the end of the year? If your child is in Year 6 and your family will be leaving St John’s at the end of the year, please ensure that your account is paid in full before the end of the school year. Please contact the school should you need to discuss your situation further. 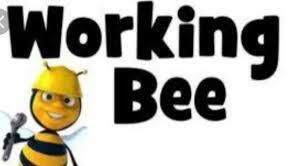 The school garden working bee will NOT be held this Saturday, 6th April due to school commitments over the weekend. It will be held early in Term 2. Sorry for any inconvenience. Any donations of soil, mulch and manure are still welcome. 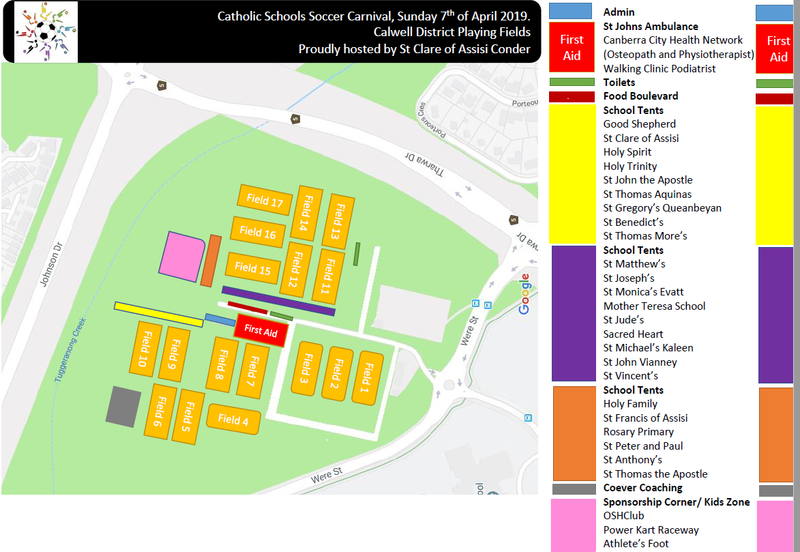 The Catholic Schools Soccer Carnival will be held this Sunday 7th April. The location of the Soccer Carnival has changed from previous years. This year it is at Calwell Playing Fields and the day will run from 8.30-3.30am. Please make sure your child is dressed in their sports uniform and that they have shin guards and a pair of long socks. If you have multiple pairs of shin guards and long socks, it would be great if you could bring them for other kids to borrow. Please see below the teams. The Information Booklet, Carnival Draws and Sight Map are shown below. There will be a briefing meeting at 8:30am on the day of the carnival on the grass adjacent to the administration area for all team managers to collect team packs and game bags. A reminder that DAYLIGHT SAVINGS ENDS on Sunday 7th April at 3:00am, clocks are turned backward 1 hour to 2:00am. The Cross Country Carnival will be held on Friday 12th April (week 10). Please see below the running order of the day and the cross country course. St John the Apostle Primary School is taking part in the UR FaB mental health early intervention program for children in Years 2 and 3. UR FaB is a partnership between the ACT Child and Adolescent Mental Health Service (CAMHS) and the Education and Training Directorate (ETD). The program is staffed by health professionals from the CAMHS Childhood Early Intervention Program who specialise in early emotional and social development, together with the school counsellor, and a class teacher from St John the Apostle Primary School. UR FaB aims to give children a good start to their school life and to promote an ongoing positive school experience, as well as to help families with raising young children. We look forward to providing you with further information about this program at the start of Term 2. The recent efforts by a father in Ohio, USA to hold his child accountable for bullying is commendable, even if the technique he used is questionable. Matt Cox insisted that his ten year daughter walk eight kilometres each way to school for three days after she was banned from the school bus for bullying. He posted a film of her walking to school on social media, which has drawn over 15 million viewers. Cox’s actions have drawn mixed responses from parents and professionals alike. Let’s look at the filming and posting of a disciplinary measure to social media first. It’s a firm belief of the Parenting Ideas team that discipline works best when it’s a private matter between parents and their children, and not something shared with others. Many kids feel uncomfortable when even their close family are aware of the discipline they are experiencing. The posting of the film on social media borders on the realms of humiliation, which probably wasn’t this father’s intention. Imagine thirty years ago if Cox’s parents had filmed an act of discipline involving their son and screening it as a short in movie theatres across the country. There would have been a public outcry about this invasion of privacy. Now thanks to social media posting of private matters is the new normal, which often goes unquestioned. Parents should be encouraging their children to think very carefully before they post anything on social media as once the genie is out of the bottle it can’t be put back. This video could well come back to haunt his daughter in the years to come. It’s laudable that this father wants to hold his daughter accountable for her actions rather than dismiss the behaviour as minor, or ‘just one of those things that happen.’ Too often parents excuse their children’s poor behaviour, or simply don’t take it seriously enough. This father backed the actions of the bus driver, which were presumably endorsed by the school. Parent inaction over children’s inappropriate behaviour is a common frustration for many teachers and principals so I suspect knowledge of this dad’s actions would have been greeted by high fives by most of the staff at the girl’s school. Reflection is a pre cursor to behaviour change so the fact that she walked to school gave her plenty of time to ponder on her actions. However this type of punishment doesn’t generally lead to a reduction in bullying in the long-term. Relationship restoration is a key strategy used by many Australian schools that’s proving successful in changing bullying behaviour. Increasingly, kids who bully are expected to face up to their victims in safe, teacher-lead meetings. They are required to recall their actions and account for their behaviour. They also hear first hand the impact that their behaviour has had on the person they bullied, which is usually very confronting. This restorative justice method promotes real accountability as kids are expected to make amends in some way for the hurt that they have brought to the other person. Research shows that many children who bully generally don’t identify with the impact of bullying, so hearing first hand how their behaviour impacts on others is more likely to create some empathy, and hopefully, a decrease in bullying. Like any behaviour change method, restorative justice doesn’t work all the time. It needs to be applied in a calm, respectful way and it requires the support of the families of all children involved. This restorative justice method is less about seeking vengeance (‘you’ll get your come uppance’) and more about seeking justice for the person who is bullied (“do you feel safe and also that you’ve been heard?”) and achieving behavioural change from the child who bullies. Parents can practise this restorative approach in their families by encouraging a child to make amends if they’ve upset or been nasty to a brother or sister. ‘You mess up relationships, you make up relationships’ is a fabulous way for kids to take ownership of their anti-social behaviours. Again to be effective this method needs to be carried out in a safe, calm manner at a time when children and teenagers are likely to listen. Childhood bullying requires a zero tolerance approach from parents, teachers and coaches if it is to be stamped out. The approach taken needs to be respectful to everyone involved; aimed at achieving justice and maintaining personal safety rather than seeking vengeance and gaining pay back; and stay firmly in the private rather public domain.